Millions of years from now, when Earth is nothing but a desert wasteland void of all humanity, they will still be making new episodes of The Simpsons. The show refuses to die - but surprisingly, some celebrities have refused to appear on it. Which celebrities have turned down The Simpsons? With nearly 30 seasons on the books, it's crazy to look back on all the famous Simpsons guest stars that have rolled through Springfield. Even though being Simpson-ized feels like the initiation to true stardom, not every celebrity has agreed to go on the show and some have outright declined! Check out the list below to learn all about the celebrities who said no to being on The Simpsons. 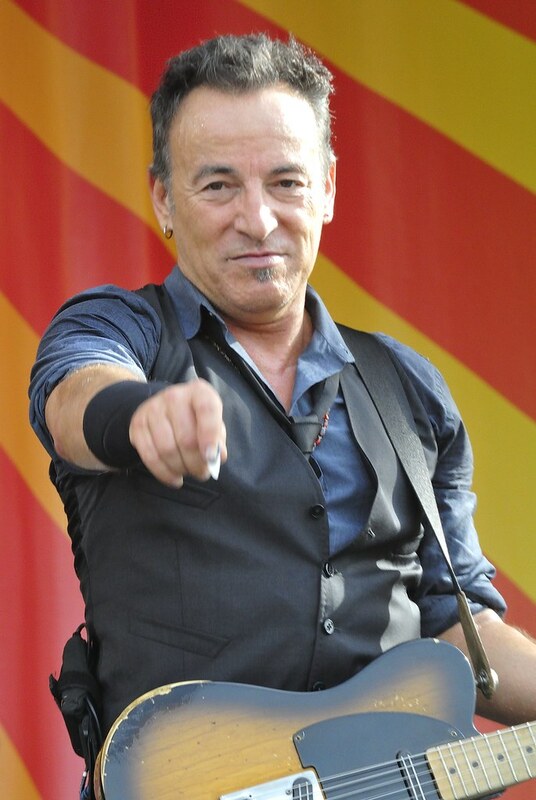 For whatever reason, Bruce Springsteen keeps refusing to appear on the legendary show. He was asked way back in Season 2, but refused and the part ultimately went to Sting, but refused. They asked again for Season 3, but again, Springsteen said no. Producers reached out a third time for Season 10, hoping that some time would’ve changed Springsteen’s mind… it hadn’t. Even though a chance to appear on one of the longest-running shows in history might be appealing to some, it didn’t appeal to pop superstar Christina Aguilera. The singer was asked to play a young girl competing in a singing competition against Lisa. After she turned it down, the role went to Fantasia Barrino. Barrino's casting made more sense anyway; she won Season 3 of American Idol. Is it really that surprising mega-superstar Tom Cruise doesn’t want to become Simpson-ized? He’s turned down the chance to appear in Springfield twice, once back in Season 4 when he would have played Bart’s mentor, and again in Season 10 in a cameo role that was eventually rewritten for Alec Baldwin. Courtney Love: Hi Homer! I’m a big fan, Courtney Love. The joke was rewritten for Billy Corgan of Smashing Pumpkins.